We are really excited about this addition to our kennel. 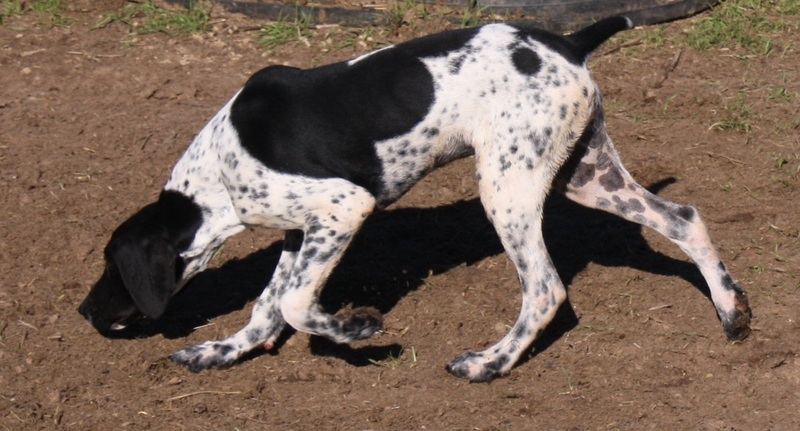 In our opinion, "Bella" comes from the best bloodlines of any black and white pointer in the USA. Her father is 5X NSTRA Champion Rockin G's Uodibar Rusty. He is a superior bird dog with the titles to back it up. He is serious bird dog with serious bragging rights. 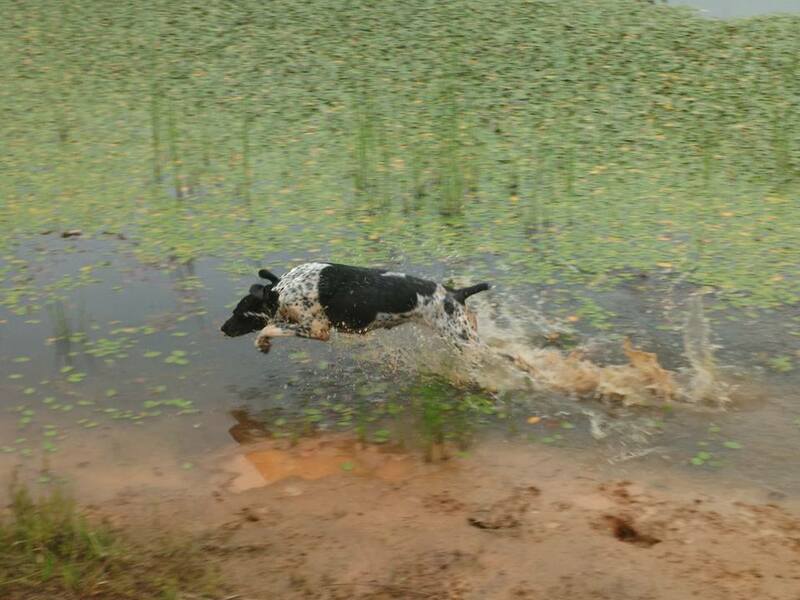 Rusty was the first black and white German Shorthair stud dog to earn any type of Field Trial Championship with NSTRA. In addition he currently holds the record for the most wins by a black and white German Shorthair in NSTRA history as of 1/1/12. 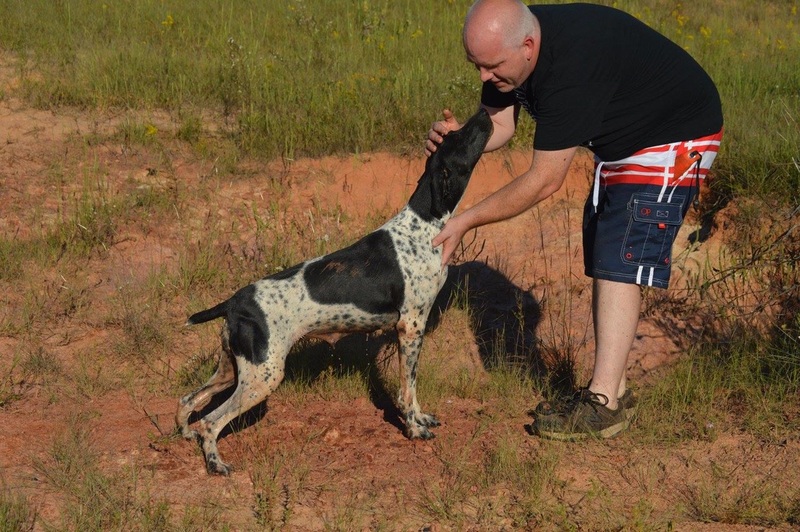 Bella's father "Rusty" comes from world renowned bloodlines and has a 5 generation pedigree that includes 25 Champions, including German Champions and 5 different dogs that are in the GSP HALL OF FAME. Bella's mother is 2XNSTRA Champion, Rockin G's Dixieland Fritzie, who is also extremely well bred and her lines can be traced back the world famous Hege-Haus Kennels! Bella's Grandmother and Fritzie's mother is 3x NSTRA Champion Dixieland's Black Magic. 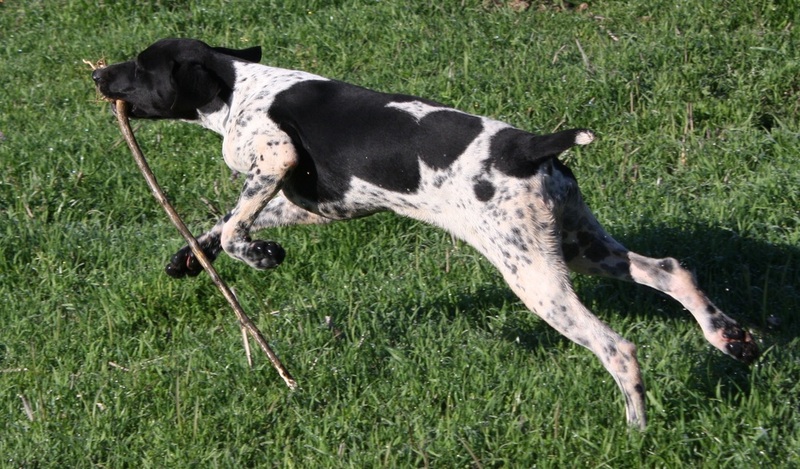 She was the first black and white female German Shorthair to earn any type of field trial championship NSTRA. 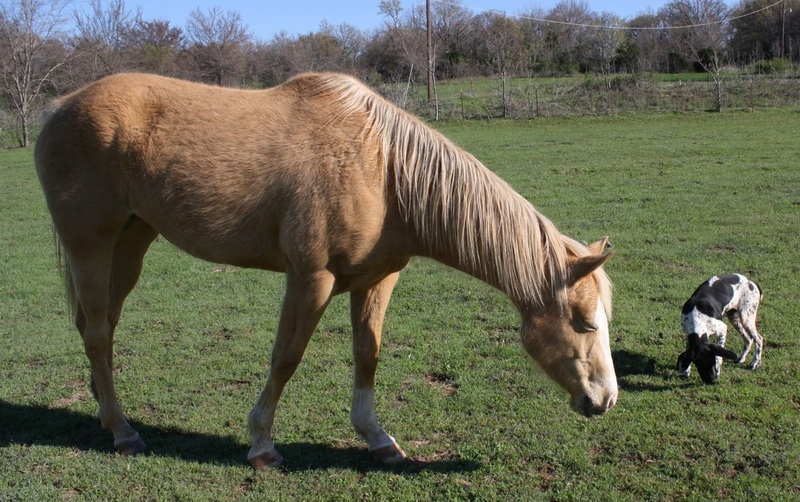 Bella's Grandfather and Fritzie's sire is 3X National Champion - 16X NSTRA Champion Crosswind Truckin Fritz. As you can see from this breeding and power pedigree, we are very excited about Bella's future here at Power Pointers! BELLA'S SIRE - 5X NSTRA "Champion Rockin G's Uodibar Rusty"
Championship and Rusty becomes the first and only Black and White GSP stud dog to earn any type of Field Trial Championship. FC BPK Rock News, FC Snake River Lottie, FC AFC Radbach's Sabation Greif, FC Sundance Cisco Kid, FC AFC Dee's Call Girl. BELLA'S Dam 2XNSTRA CH "Rockin G's Dixieland Fritzie"
3/7/09, in her third weekend trial, she placed 1st in the Open trial in Bartlesville, Okahoma. 3/8/09 the following day, she took 3rd place in the open trial in Bartlesville, Okahoma. 2008/2009 achieved the Oklahoma Region Derby Dog title after only competing for half of the trial season. 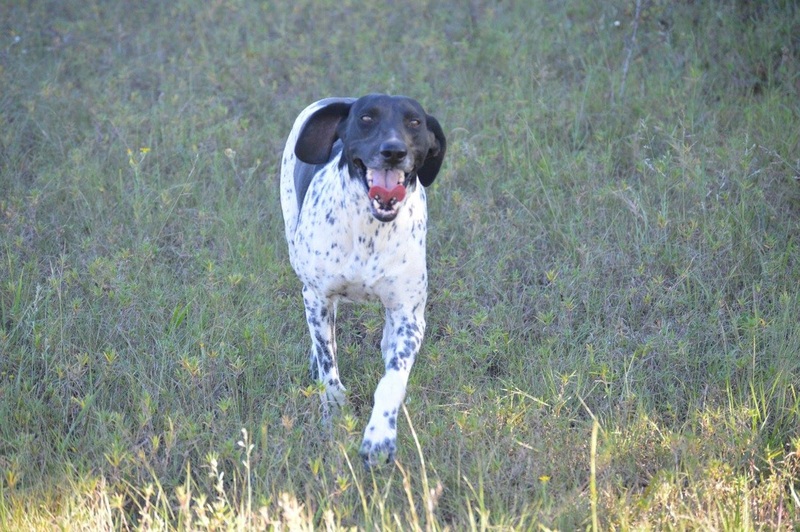 2/24/12 Fritzie earned her 2nd NSTRA Championship. Fritzie has a powerfull pedigree. Her bloodlines can be traced back to the world famous Hege-Haus Kennels. She has many accomplished pointers in her bloodlines. This includes 16xNSTRA CH & 3x National CH Crosswind Truckin Fritz, 4x NSTRA CH & 2008 & Sky Region Elimination Champion Dixieland's Black Magic. 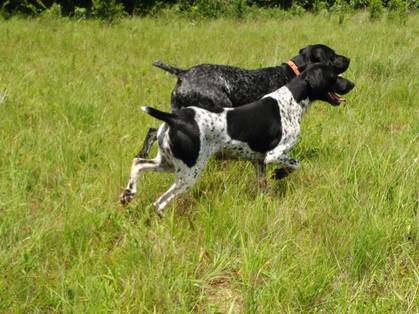 Dixieland's Black Magic was also the first Black Female GSP to earn any type of Field Trial Championship, 7x NSTRA CH Harrison's Blue Jesse, 4xNSTRA CH Dixieland's Hawkeye, FC AFC HMK's Dandi Runaway Rusty, FC Sundance Cisco Kid, FC AFC Dee's Call Girl, FC Monkeyshines M Go Blue, FC Dixieland's Rusty who is in the Hall of Fame, DC Wil-Lyn's Sparkling Nugget, FC Dixieland's Luke, and KS Hex Vom Pottsiepen. Exceptional breeding pretty much sums it up.